Thierry Dervieux, Ph.D. has served as our Chief Scientific Officer and Medical Laboratory Director since October 2010. Dr. Dervieux has nearly 20 years of experience with the development of drug monitoring and molecular diagnostic assays in partnership with academia and diagnostic industry. Prior to joining Exagen, Dr. Dervieux was Vice President of Research and Development with Cypress Bioscience, Inc., a pharmaceutical company with a focus on drugs to treat central nervous system disorders, where he developed our current portfolio in the rheumatology space from 2008 to October 2010. He previously served as Senior Director Research and Development with Proprius Pharmaceuticals, Inc., a specialty pharmaceutical and personalized medicine company focused in rheumatology and pain management, until its acquisition by Cypress Bioscience. Prior to that, he served as Principal Scientist and Director of Research and Development at Prometheus Laboratories. 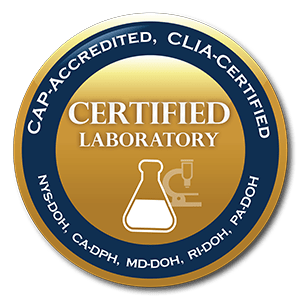 Dr. Dervieux is board certified by the American Board of Clinical Chemistry and holds certificates of qualification as medical laboratory director in the categories of cellular immunology, clinical chemistry, drug monitoring, genetic testing and diagnostic immunology. Dr. Dervieux holds Pharm.D. and Ph.D. degrees from Claude Bernard University in Lyon, France, an inter-university diploma in biostatistics from the University of Pierre et Marie Curie in Paris, France, and trained at St. Jude Children's Research Hospital in Memphis, Tennessee. Christian Kampfl has served as our Vice President of Sales since August 2018. Christian joined us with over 27 years of pharmaceutical/biotechnology commercial experience with the depth of his experience residing in sales leadership, sales training and sales execution. In his most recent role, Christian served as the head of sales at Sentynl Therapeutics Inc., a specialty pharmaceutical startup, where he was responsible for building and leading Sentynl’s sales, training and operations functions resulting in its successful acquisition by Zydus Cadila.Christian’s extensive biotechnology and specialty drug sales execution expertise comes from the various commercial roles of increasing responsibility he has held and the multiple drug launches he was directly involved in at Bristol-Myers Squibb, Elan Pharmaceuticals, Endo Pharmaceuticals, Genentech and Nautilus Neurosciences. Over his career Christian has consistently built high performing teams in multiple therapeutic areas including rheumatology, neurology and pain management and has launched or relaunched more than 15 specialty drugs.Christian earned his Bachelor’s degree in International Business at Hofstra University. Brian McEvilly has served as our Vice President of Marketing since February 2016. Brian joined us with nearly 20 years of medical marketing experience, including his most recent role as Vice President of Marketing at WomanCare Global, a non-profit organization focused on women’s health. Mr. McEvilly gained a deep understanding of the global autoimmunity diagnostics market when he successfully lead Product Marketing for 5 years as the Director of Marketing at Inova Diagnostics, Inc. 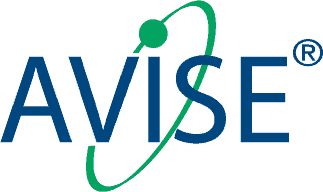 He also played an important role in the initial launch of the AVISE brand as the Director of Personalized Medicine at Cypress Bioscience from 2008-2010. The personalized medicine offering at Cypress was later acquired by Exagen, allowing Mr. McEvilly to quickly make meaningful contributions to the continued growth of this familiar franchise. Brian’s career in medical marketing began in 1998 when he excelled in various Sales and Marketing roles at Sunrise Medical, Quidel and later Gen-Probe. Mr. McEvilly holds a B.A. in Business from the University of San Diego and earned an MBA degree, graduating with honors from University of California, Irvine. Jim Tullis founded Tullis Health Investors ("THI" or "Tullis-Dickerson & Co., Inc.") in 1986 and has a career of over 40 years in health care investing. Prior to establishing Tullis Health Investors, Jim was a Senior Vice President of E.F. Hutton & Co. (1983-1986) and a Principal at Morgan Stanley & Co. (1974-1983), where he led health care investment research and, later, healthcare investment banking. During his tenure at Morgan Stanley, he received recognition 14 times on the Institutional Investor All-Star list of Wall Street's top securities analysts and listing as a top home run hitter. He was twice named #1 Drug Analyst and was featured on the Wall Street Week television program. From 1972-1974, Jim was Vice President of Putnam Funds researching health care industry equities. Under Jim's direction, THI has managed several venture capital funds investing into the health care industry. Winning portfolio companies of those funds include Adams Respiratory and Sirion (with innovative concepts in pharmaceuticals); Synageva and BioRexis (biotechnology); Atritech and Vidacare (medical devices); PSS World Medical and Impulse Monitoring (medical services); and Intelliclaim and QuadraMed (health care information technology). Jim is a graduate of Stanford University and earned an MBA from Harvard Business School. He currently sits on the Boards of the Lord Abbett family of mutual funds, Crane Corporation (NYSE: CR), LivHOME, Inc., SupplyPro, Inc., Exagen Diagnostics, Inc., electroCore, LLC, and SafeOp Surgical, Inc.
Daniel C. Burrell has served as a member of our board of directors since October 2017. In 2002, Mr. Burrell served the Clinton Administration and also Directed West Coast Finance with John Kerry for President until its conclusion in 2004. Mr. Burrell has extensive successful leadership experience in Finance and Real Estate including the formation of Rosemont Capital, which oversaw over $400mm in assets, and subsequently serving as CEO of Rosemont Realty from 2008 until 2013, continuing on the company’s Board for several years thereafter. In 2014, Mr. Burrell served as Founder, Executive Chairman, and CEO of The Burrell College of Osteopathic Medicine (BCOM), the nation’s first independently accredited, privately financed, university-affiliated college of medicine in the United States. Located in New Mexico, BCOM’s mission is to address chronic doctor shortages in rural and underserved areas and a second medical school is underway in Idaho. As an active leader and philanthropist, Mr. Burrell is Chairman and CEO of The Burrell Group, Co- Chairman and CEO of CryptoWatt, Managing Director and Principal of BG Life Sciences and Technology Fund, and Founder and Chairman of the New Mexico Leadership Institute and The Burrell Centers for Health Policy and Research. Mr. Burrell received a Bachelor of Arts and Sciences degree from Georgetown University, a J.D. from Yale University, and a General Course Degree from the London School of Economics. He lives in Aspen, Colorado.